This is a fairly rare beer to get ahold of, I’ve been on a sour beer kick lately and I wanted to try a real sour beer that wasn’t backsweetened like the Kriek. I scored this beer at Beautiful Beers in Bury St. Edmunds, UK for a great price. There’s a very nice gentleman there that really knows and loves beer! I wanted to experience this beer right unlike the previous wild beer experience I had at Benson & Blakes. So I opted for a Flute this time as I felt it was appropriate for this style of beer. This is my first Gueuze experience, and I cooled the champagne like bottle down to 39*F (4*C) from its prior cellar temperature, and held it there for 48 hours before I even considered drinking it. I patiently removed the bottle cap and popped the cork from the bottle, it’s very evident that this beer is extremely effervescent. Immediately after I popped the cork, CO2 kept creeping out of the bottle as if it were a potion and filled the room with its pleasant cidery-horsey-fruity-tart-like aroma. I gently poured the 5% ABV Gueuze into the flute and a giant three finger high head formed and To the nose it holds a pleasant apple-like tartness with a subtle horseyness that compliments the fruitiness. 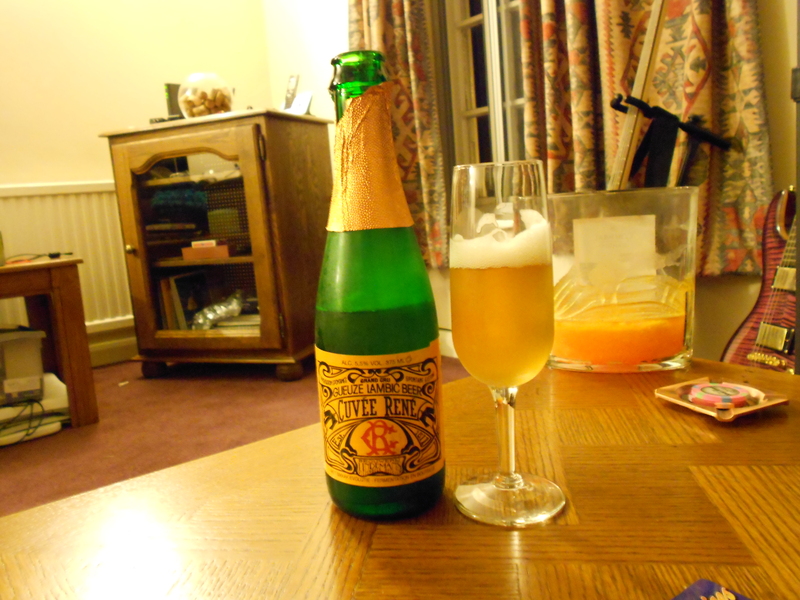 While holding a fluffy head, the Gueuze is slightly cloudy and has a gorgeous golden color. I took my first sip and immediately my palate was amazed on how complex the flavor this beer really has. There’s a unique sourness from the lactic acid and the minute amount of vinegar at first. 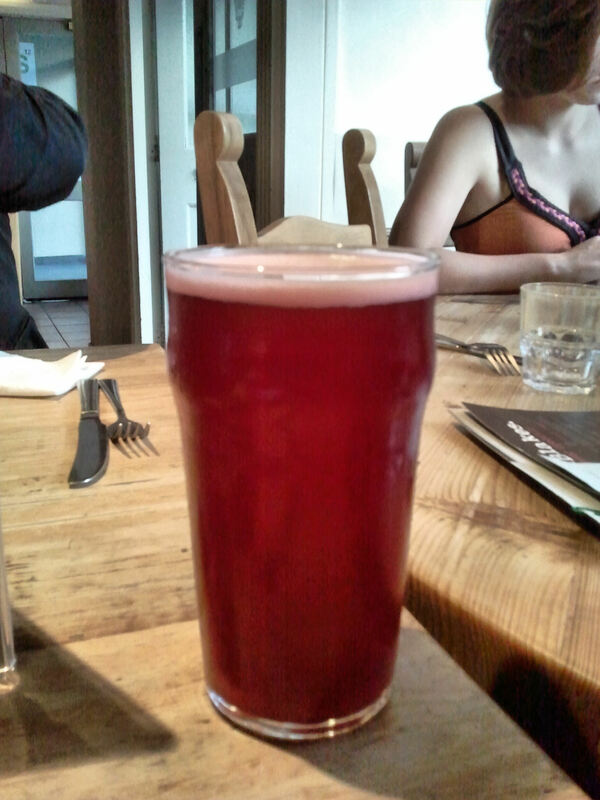 Following the initial sourness, it has some yeastiness to it. It also has a low body and has some fruitiness going on to give it a champagne like character. I’m very surprised that there’s no hop aroma, bitterness, or flavor in this beer (this style of beer doesn’t call for hops to be present on the palate, just to help preserve it). As I got down to the last 1oz of the bottle, it got slightly warm and some of the horseyness really came through. Overall, I’m extremely impressed with this beer, I do plan on picking up several more bottles of this beer to keep around for special occasions. I hope this is another stepping stone on my journey for sour beers. I payed 3.45 GBP for this bottle of Gueuze which set me back around $5.80 USD, an extremely good deal! I give this beer an overall 4.5 out of 5.